Shoulder badge of the British 6th Airborne Division, representing the mythological figure of Pegasus. The 6th Airborne Division (6th AD, nicknamed “Red Devils” and “Pegase”) was born in the middle of the Second World War, May 3, 1943. It is called to regroup the paratroopers of the army who are the precursors British in this area, like their compatriots from the 1st Airborne Division and American paratroopers from the 82nd and 101st Airborne Divisions. Commanded by General Richard Gale, paratroopers from the 6th AD prepare themselves thoroughly for the invasion of Fortress Europe. The airborne division includes parachutists and airborne infantrymen aboard Waco type gliders (the Americans mainly use horsa type gliders). It consists of the 3rd and 5th parachute brigades as well as the 6th airborne brigade. 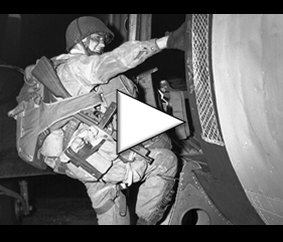 In the early evening of June 5, 1944, paratroopers and British airborne infantrymen board the aircraft that transport them over the Channel to enable them to carry out their missions. Their area of ​​action is located north of Caen, on the eastern banks of the Orne: paratroopers must seize the bridges and special points of the region to protect the eastern flank of the Allied invasion zone against German counter-attacks within hours of landing. Three missions essential to the success of Operation Overlord are entrusted to the 6th AD First, for Major John Howard (6th Brigade, 2nd Battalion, D Company), it is a question of seizing the only two bridges on the Orne and Caen Canal (including the famous Pegasus Bridge) and defend against any counter-attacks against the enemy until the arrival of troops landed from Sword Beach: with his men transported by six gliders he is perfectly successful in his mission, and shortly after noon on D-Day the dismounted forces join British paratroopers. Lieutenant-Colonel Terence Otway, commanding the 9th Battalion of the 3rd Brigade, is to seize Merville’s battery with several pieces of artillery directly directed at Sword Beach and threatening the landing operations on this beach. . Despite the loss of most of his heavy equipment during parachute operations and only one seventh of his forces to carry out his mission, he attacks despite everything, seizes the German battery and destroyed the guns, at the cost of heavy losses. 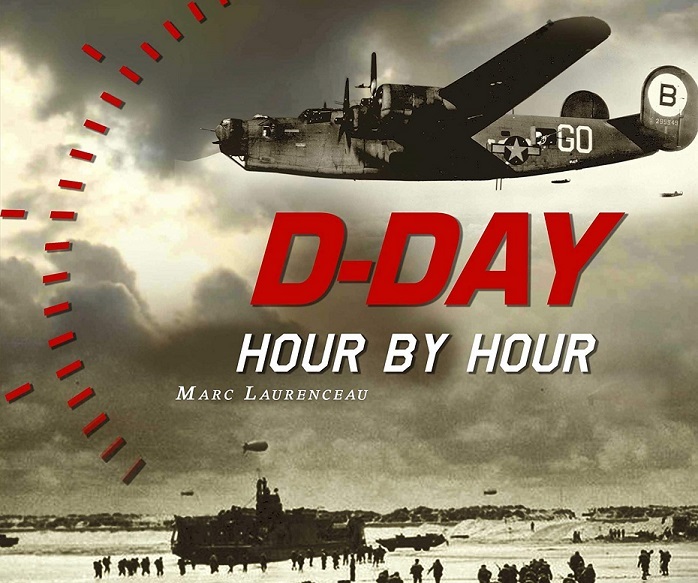 Finally, other parachutists seize on the night of June 5 to June 6, 1944 from the heights to the east of the Orne and at the same time destroy bridges on the Dives, including Troarn. On 6 June 1944, the gliders and paratroopers of the 6th Airborne Division carry out Operation Tonga: they land at the rear of the German lines and provide reinforcements of men, equipment, vehicles and ammunition to support the actions of their troops. comrades. For the duration of the Battle of Normandy, the “6th Para” continues successfully to ensure its flank-side mission east of the Orne, preventing the Germans from piercing the east flank of the Allied invasion . On June 12, 1944, a British artillery fire was lost on the positions of the 6th AD in full briefing of senior executives, killing the commander of the 12th Battalion, Lieutenant Colonel AP “Johnny” Johnson (replaced by Lieutenant Colonel William Harris) and wounding Hugh Kindersley (commander of the 6th Brigade) and Lord Lovat (Commander 1st Special Service Brigade). When the Allies began the offensive towards Cabourg, the 6th AD took part in the fighting until September, when paratroopers were transported to Britain to rebuild and prepare for further operations. At the end of the battle of Normandy, the 6th D.A. lost nearly 4,000 soldiers, killed, wounded or missing. If the 6th AD does not participate in Operation Market Garden in Holland, however, it is placed in intervention reserve. And the Allies appeal to the British paratroopers following the German offensive in the Ardennes: they break the Anglo-American lines from December 16, 1944 and they take advantage of the bad weather preventing the Allied air force to support the troops on the ground . But the decisive reaction against the German forces puts an end to the offensive in mid-January 1945. After Belgium, the 6th AD took part in Operation Varsity on 24 March 1945, the last major Allied airborne operation of the Second World War, which aims to seize a bridgehead in Germany, north-west from the Ruhr. It must seize, with 7,200 paratroopers, the villages of Hamminkeln and Scnappenberg and bridges over the IJssel in order to jostle German troops in the region and to secure gateways to the east of the Germany. Despite unexpected German resistance and a series of Allied pilotage errors, much of the objectives of Operation Varsity have been achieved. The 6th Airborne Division lost on the evening of 24 March 1945 nearly 1,400 men, either killed, wounded or missing. The British subsequently sank through the German lines and made the junction with the Soviet soldiers at the end of April near the port of Wismar. Shortly before the end of the Second World War, Britain decided to begin the deployment of the 6th Airborne Division in the Far East from July 1945 to continue fighting against Japan. The 5th Battalion is on the spot when the Japanese capitulate unconditionally on September 2, 1945: it then receives the mission to control the Japanese disarmament in Malaysia and Singapore, then helps the Dutch forces on the island of Java until April 1946 against the Indonesian nationalist forces. Meanwhile, other battalions were deployed to Palestine from September 1945 to April 1948 to provide peacekeeping missions against Haganah, Irgun and Lehi paramilitary groups (opposed to the British presence). The 6th British Airborne Division, with a rich past in just a few years, was dissolved on April 1, 1948.